When summer starts to carry over into fall, you have the perfect excuse to plan another weekend getaway to take advantage of the warm weather. These Indian summer vacation ideas will help you decide how best to spend these final days in the sun, whether you plan a romantic retreat with your significant other or bring your entire family glamping. These warm weather vacation spots are completely unique and encircled by opportunities for fun in the sun for glampers of all ages—just don’t forget to bring the sunscreen! These romantic getaway ideas are great for those who want to surprise their loved one with plans that are original and exciting. Consider staying in this greenhouse in Oregon, for example, which has glass walls that let you enjoy the sunshine without even stepping outside. 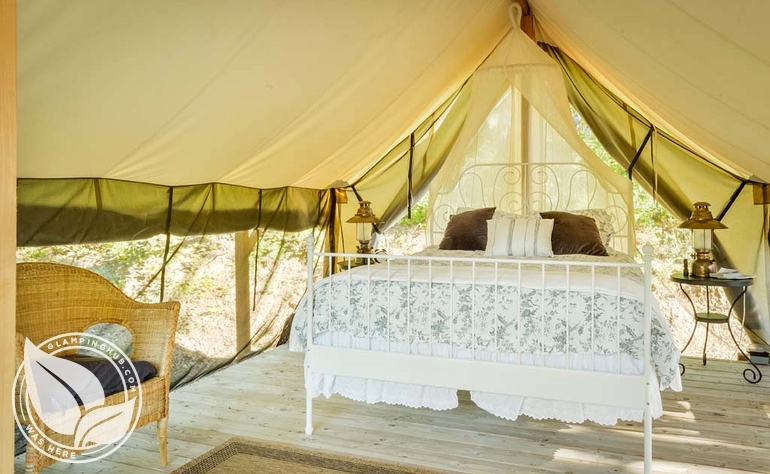 You could also sip a glass of wine in a safari tent in the Finger Lakes of New York, where there is no shortage of picturesque scenic views. Don’t forget Washington state, which has these incredibly inviting tented cabins encircled by lush wildlife and opportunities for adventure. Treat the kids to one last hurrah before school starts by visiting one of these fantastic warm weather spots for families. A rafting excursion on the American River is something that none of you will forget, and these delightful tented cabins in California are settled right on the water for taking full advantage of the spectacular views. On the East Coast, these canvas tented cabins in North Carolina are tucked away in over 200 acres of diverse wilderness dotted with fantastic hiking trails. 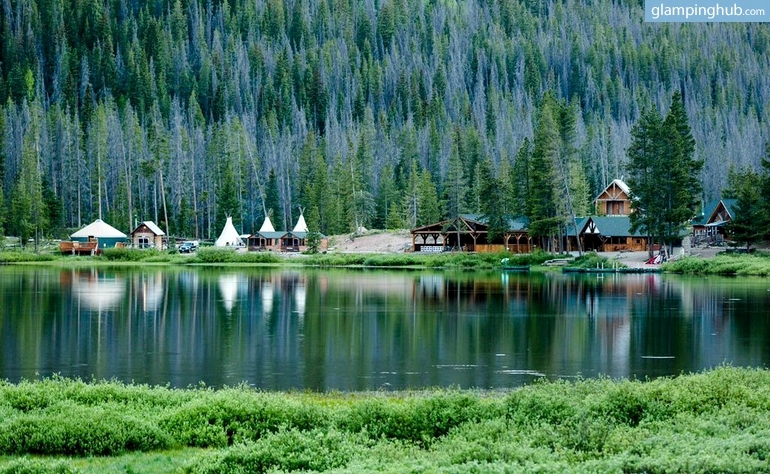 These tipis in the Rocky Mountains are in one of the best family vacation spots in the U.S. since they are tucked away beneath the mighty Rocky Mountains in Colorado. Have you ticked off everything on your summer bucket list yet? These unusual camping ideas can help you come up with one last getaway to complete your unique and unforgettable summer. These Airstreams in California are eclectic, modern, and right on the doorstep of downtown Santa Barbara. 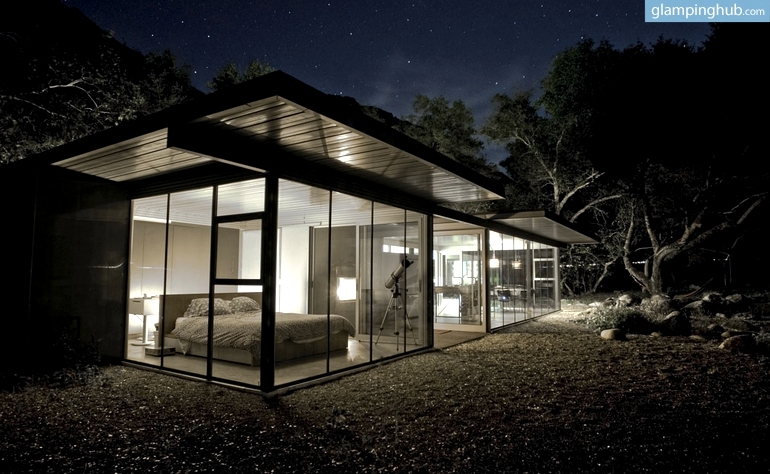 This glass home in California is another great choice since it offers a completely unique way to enjoy the outdoors from inside. If you have never experienced the crystal-clear, star-filled nights of Dark Sky Ordinance territory, consider a stay in this secluded eco-dome in Texas, which has enough atmosphere to keep you coming back every year. Our warm weather vacation ideas don’t end here. We know the best road trips, wine country escapes, and Labor Day Weekend getaways that are sure to help you end summer with a bang.